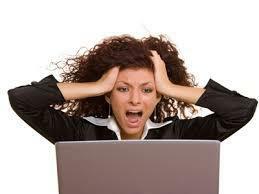 Frustrated with balancing your Quickbook files? HSC Services provides full services for our Quickbook clients. Doesn’t matter what industry or size of company, HSC Services provides professional bookkeeping and software training. It also doesn’t matter which version, online or desktop; self-employed or enterprise, HSC Services can assist you with setting up your new Quickbooks company file, balance your existing accounts, provide the best practice to record your income & expense accounts, create customize reports, connect to your online banking, and on-site one-on-one and group training. Don’t want to be bother with the administrative functions of your business? We also provide bookkeeping services (monthly, quarterly, annually) to allow you to focus on your clients and what you do best ~ run your business! HSC also provides thorough documentation and creates customized training manuals tailored to your company’s bookkeeping needs. To discuss your Quickbooks needs, click here to schedule a free one-hour consultation! HSC Services provides software integration by utilizing the software that is already installed on your computer – Microsoft Office. No need to purchase pre-programmed, or what others call “canned” software that is not customizable to your business and has a high price tag attached. Let HSC Services show you how to automate your processes and practices, so your software works for you instead of you changing your operations for the software. By utilizing Microsoft Word, Excel, Access, just to name a few, HSC Services can assist you with handling large documents, consolidating workbooks and spreadsheets into a highly dynamic automated database, provide snapshot pictures of your data through charts and pivot tables, and much more. HSC Services also provides on-site one-on-one or group training. Become a highly efficient expert in handling your company’s data, while saving money and time! HSC also provides thorough documentation and creates customized training manuals for all software needs and processes. To discuss your Microsoft Office needs, click here to schedule a free one-hour consultation! "As a volunteer treasurer for a nonprofit organization, my lack of experience with Quickbooks was a concern. It was so reassuring to have Huffine Software Consulting Services to help me as I learned to navigate the program. The one on one consulting was convenient, professional and affordable. I highly recommend HSC Services." Click here to see all that HSC Services has to offer.